Hooghly, West Bengal: Three persons drowned and around 12 others are missing after a portion of a jetty in the Hooghly river gave way today under the impact of a high tide at Bhadreswar. The accident occurred when the passengers were waiting at the 150-feet high bamboo jetty at Telinipara for boarding a launch to cross the river and reach Shyamnagar in North 24 Parganas district. Of the three dead, two have been identified as Raja Chaudhary and Manas Ghosh, both residents of Chandanagar in the district, according to Bhadreswar municipality chairman Manoj Upadhyay. Hooghly Superintendent of Police Sukesh Jain said that local people, who swung into action in small boats, traced 18 of those who fell into the river. Later, three more missing persons were rescued, while 12 others were yet to be traced. When they were taken to Chandannagar sub-divisional hospital, three of them including two women, were declared "brought dead". Bhadreshwar police and the Fire Department were the first to reach the spot. 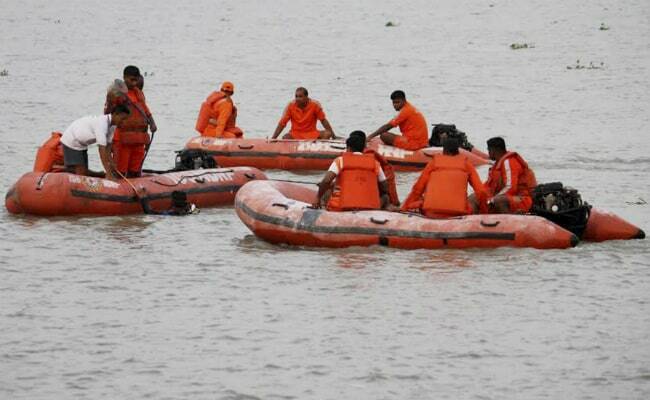 Later, the personnel of the NDRF joined in the search. NDRF Deputy Commandent (Kolkata) Abhay Kumar Singh said, "Various factors like tides and poor visibility are hampering the rescue operation." Chief Minister Mamata Banerjee announced an ex-gratia of Rs 1 lakh to the next of kin of the dead and Rs 25,000 for the injured. Governor K N Tripathi in a message conveyed condolences to the bereaved families. He expressed hope that the authorities and officials in future would be more careful in the construction and maintenance of such jetties over the Ganga.